The beach is renowned for its world-class surf breaks and panoramic coastline views. The trendy Seminyak area, meanwhile, with its glamorous lifestyle and wide choice of internationally acclaimed restaurants � including the famous �KuD�Ta', �Warisan', �Living Room', �Hu'u' and �La Lucciola' � together with a plethora of chic cocktail bars, exciting nightclubs, sumptuous spas and fashionable boutiques, is only a few minutes' drive away. This region is the most visited part of the island for both tourism and business purposes. The villa is a mere thirty minutes' drive from the international airport, and convenient for all of the main tourist attractions and shopping malls. Easily accessible sporting amenities include a choice of spectacular championship golf courses, the neighboring �Canggu Club', tennis facilities, horseback riding, dive schools, sailing cruises and much more. Guests will enter Villa Yo-Yo through an impressive pair of towering antique doors. Boasting contemporary tropical architecture, a fresh white d�cor, and custom-made dark wood furniture, the property comprises a spacious 2-storey building with a wrap around terrace, an adjacent single-storey guest pavilion, a swimming pool and two relaxation pavilions set within a huge walled garden complete with coconut palms, flowering trees and tropical shrubs. There is a secure car park outside the main entrance. Terraces, Living, Dining, Office and Service Kitchen The main 2-storey building houses three of the bedrooms and is characterized by a colonnaded wrap-around Terrace and a corresponding wide wrap-around balcony on the upper floor. The terrace is furnished with a large circular table and six chairs for alfresco dining under a funky metal chandelier. There is also a bar with a curved fa�ade, and a cushioned rattan sofa and chairs together with a glass-topped rattan table. Indoors is a large Living, Dining & Office Area, with a cool terrazzo floor scattered with Oriental rugs. Here, guests can enjoy a more formal dining experience around a solid chunky dining table for ten. The office area is furnished with a daybed, shelf units and a desk, and is equipped with a computer, Internet access, a fax machine, and a central telephone system. A guest powder room is accessed from this area. The adjacent Service Kitchen is one of two kitchens at the villa. This one is set up so that the staff can serve food quickly and efficiently at dinner parties and functions, it is fully equipped and well-stocked with quality glassware, crockery and cutlery; a large refrigerator is hidden within a custom-designed cupboard. The open-plan TV Room boasts a satellite TV and DVD player, two substantially-sized yielding sofas, a large square coffee table, a lazy chair and a pair of carved side tables positioned upon a warm parquet floor under a soaring pitched roof. This cozy, relaxing area is tastefully enhanced with local artifacts and mirrors. The Main Kitchen is a chef's dream in black, white and chrome. Immaculate and professionally equipped, it features black marble surfaces and white cabinets, with adjacent store rooms. There is a small garden and terrace at the back of the property beside the kitchen, which is home to a gorgeous statue of the Hindu god, �Ganesha'. The villa is also equipped with a generator. Master Bedroom, Guest Bedroom, Children's Bedroom and Guest House The air-conditioned Master Bedroom is located downstairs and is dominated by a king size four-poster bed resting upon a parquet floor. The beautiful customized furniture includes a large daybed, wardrobe and cupboards; there is also a TV and DVD player and a safety deposit box, and local artwork adorns one wall. The adjoining cream terrazzo bathroom features �his & hers' washbasins, coffee-colored mosaic tiles, a shower positioned within a spacious glass cubicle, and a toilet. A sliding door leads from the bedroom directly onto the verandah. A terrazzo staircase leads up to the air-conditioned Guest Bedroom, featuring a parquet floor and furnished with a queen size divan bed complete with a mosquito net. There is also a daybed that can be set up as an extra bed, a custom-made side table, and a safety deposit box. A wardrobe offers ample storage space, and a TV and DVD player is provided for the entertainment of the guests. Colorful antique window shutters are mounted on the wall to provide an unusual and attractive decorative feature. The en-suite bathroom boasts a �Batu Yogya' stone floor, a stone-tiled vanity unit, porcelain washbasin, glass shower cubicle, and toilet. Across the landing � which opens onto a small �Romeo & Juliet' balcony � is the air-conditioned Children's Bedroom, furnished with four single beds draped with mosquito nets. The room features a wooden parquet floor, and is equipped with a TV and DVD player, safety deposit box, wardrobes and plenty of storage space. The en-suite bathroom houses a glass shower cubicle, a washbasin and toilet. The guest house is a separate single-storey building comprised of two interconnecting air-conditioned guest bedrooms. Each bedroom is characterized by fresh white walls under a soaring thatched roof. Each is furnished with a king size, canopied, four-poster bed created from ornately carved antique wood, together with bedside cabinets, lamps, lazy chairs, table, and dressing area with fitted cupboards, safety deposit box, and full length mirror. Sliding doors open onto the pool deck. Each bedroom is complemented by its own private en-suite bathroom, and each bathroom boasts a stylish dark grey d�cor with a polished concrete vanity unit and mosaic tiles, �his & hers' sunken washbasins, toilet, and powerful shower. The bedrooms are linked by a cozy sitting room furnished with a comfy, deeply cushioned sofa, standard lamps and a low sideboard. Sliding doors from both bedrooms open onto the wide wrap around balcony, composed of richly grained, creamy �Batu Yogya' stone. This cool breezy balcony is enhanced with two built-in daybeds, a set of antique Asian urns, and a statue of a Hindu goddess. This is a great spot for relaxing with an afternoon cocktail while enjoying the pleasant view over the garden and pool area. Master Suite, Guest Suite and Guest House The Master Suite is accessed by an elevated covered walkway on the Living Room level, bridging a water garden below. A sliding door opens to reveal the air-conditioned Office/Sitting Room, complete with merbau wood floor, antique desk, chairs and original artwork on the walls. The Master Bedroom is entered via another sliding door, where a splendid king-size, canopied bed, dressed in white linens and mosquito netting sits in the center of the room like a throne. It features intricate carving and is a copy of an old Madurese Royal bed. This air-conditioned room is equipped with a TV and VCD player. The walls are decorated in a cool shade of blue. There is a vaulted wood ceiling and folding glass doors that open onto a wide wrap around slate-floored balcony. This allows guests to choose open air sleeping instead of air-conditioning if they wish. The views from this room and balcony are breathtaking. The balcony is furnished with a cushioned day bed, rattan armchairs and a dining table for a private breakfast or lunch. This is also a wonderful spot for sunset cocktails. The en-suite air-conditioned bathroom is luxurious. It boasts a cream-colored marble floor, an abundance of wall mirrors, an oval-shaped terrazzo bathtub for two and twin marble washbasins. A toilet cubicle and a separate shower are each entered via frosted glass doors. The powerful overhead rain shower is complemented by a handheld shower. There is a large closet and dressing area with built-in wardrobes, drawers and plenty of storage space. A safe deposit box and mini-bar fridge are located in the dressing area. The air-conditioned Guest Suite is located on the Ground level. The Sitting Room/Children's Bedroom is entered through a sliding door leading off a covered walkway beside a beautiful water garden. There is an L-shaped sofa that can be converted into twin beds, making this suite ideal for a family. The bedroom is entered through a sliding wooden door which separates it from the sitting room, or through doors opening onto the Terrace and Garden. This generous bedroom is furnished with antiques and artwork, an Oriental rug and a king-size, four-poster steel bed. The bed has elaborate white mosquito netting which allows guests to sleep with the folding glass doors open to the rice field views, or to choose the option of air-conditioning. The Guest Suite is equipped with a safe deposit box and a mini-bar fridge. A beautiful old cabinet holds a TV and VCD player. The dressing area and en-suite bathroom follow the same layout and have the same amenities as the Master Suite. The wide wrap around white Palimanan stone terrace is furnished with an antique carved Timorese table and chairs for private dining, or just relaxing and viewing the rice fields. The free standing Guest House is located on the far side of the living and dining pavilion on ground level. It can be reached from the Dining Room or by an outdoor staircase which leads from the Living Room. It is air-conditioned and features a soaring ceiling and a merbau wood floor. The furnishings include a queen size, four-poster bed fashioned from carved teak, with exquisite white linens and mosquito netting; an antique cabinet housing a TV and VCD player with surround sound; a writing table and chairs. The air-conditioned bathroom has a marble floor and a dressing area with fitted wardrobes, huge mirrors, and louvered doors which hide a safe deposit box and mini bar fridge. Double marble topped vanity units support large glass washbowls with teak cupboards and shelves underneath. The toilet cubicle and separate shower are each located behind frosted glass doors. The powerful rain shower is complemented by a handheld shower. Glass doors lead to an open air bathroom romantically lit by unique wall lamps. An oversize bathtub is sheltered under the roof eaves, and there is an outdoor rain shower for moonlit bathing. A glass wall of sliding doors opens onto a white Palimanan stone terrace. There is a marble topped iron table and chairs for private dining with garden and pool views. The terrace is sheltered by a pergola supporting a cascade of white thumbergia flowers. The villa is positioned around two sides of the large 17 x 6.5 meters lap pool, which is tiled with green Java stone and complemented by a serene Buddha statue and an outdoor rain shower. Privacy and security is maintained by an encompassing garden wall. At one end of the pool is a relaxation pavilion, known as a �bale bengong'. Furnished with cushions, it is great for chilling out with a book or taking an afternoon nap. A small, 2-storey, rectangular, wooden gazebo, charmingly fashioned in the form of a traditional rice barn � known as a �lumbung' or �jineng' � with a thatched, horseshoe-shaped roof, rests in another part of the garden. It features a lower platform and a staircase leading up to a private, upper room accessed by a Lombok door. This is a fun playhouse for children. Villa Yo-Yo's delightful garden is the perfect venue for music and dance performances, parties, weddings and functions. The modern kitchen and additional service kitchen provides the staff with the equipment and facilities to cater for a wide variety of events and a large number of guests. Special events can also be coordinated by professional outside caterers who have the world-class expertise to prepare a sumptuous feast at the villa, in addition to the coordination of decorations, flowers, lighting, sound systems and entertainment. 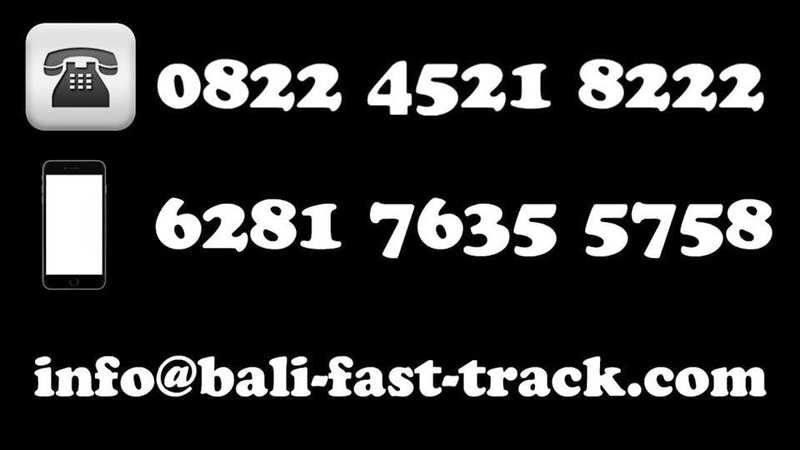 Bali-fast-track.com is the premier choice for all visitors arriving to Bali for VIP airport services and VIP adventure tours.